RCN members will gather this month for an extraordinary general meeting (EGM) over the college’s handling of the NHS pay deal in England. Friday 28 September. Doors open at 10am for an 11am start. 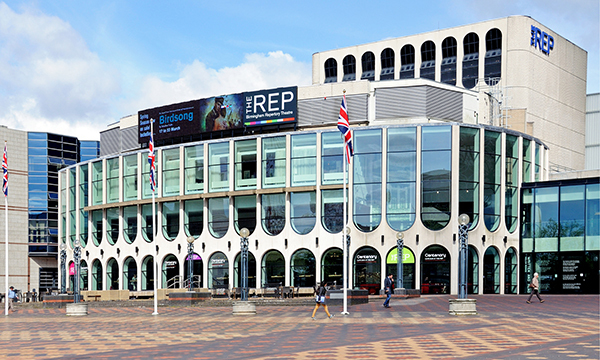 The Birmingham Repertory Theatre – which has a capacity of 1,014 – on Centenary Square, Broad Street, Birmingham B1 2EP. Any RCN member. At least 150 members must attend or vote by proxy to make the proceedings valid. Members must register, ideally ahead of the event; pre-registration on the RCN website closes at midday on Wednesday 19 September. Members can also register to attend on the day at the venue, providing there is space. There is no funding available to attend, so members must cover their own costs. What is the RCN council? RCN council has 17 members: elected representatives of Scotland, Wales, Northern Ireland and the various regions of England, as well as a healthcare assistant, nursing student, RCN congress chair, the college president and the deputy president. Collectively, they decide the strategic direction of the college. The day-to-day running of the RCN is managed by the executive team, which is now led by acting general secretary Dame Donna Kinnair, and RCN council holds this team to account. What will be the running order of the meeting? Opening statement from RCN acting general secretary Dame Donna Kinnair. RCN inner north-east London branch chair Danielle Tiplady proposes the motion. Response from RCN council chair Maria Trewern. Members have the chance to ask questions of the council and executive team. Both sides sum up their arguments. Members vote on the motion. No other business can be discussed during the EGM. The college will live-stream the event on its website for RCN members. A recording will be available to watch on the website after the event. Follow Nursing Standard online, on Facebook or Twitter for regular updates. In person: A vote will be taken at the end of the meeting using poll cards. By proxy: Members can apply for a proxy vote to be cast in person by a member of their choice. Members can either advise how they would like their representative to vote or give them an open vote to be cast using the representative’s best judgement following the debate. Members who wish to vote by proxy must return a form by 11am on Wednesday 26 September. All discretionary proxy votes held by the council chair or RCN president will be cast against the motion. How did this all come about and why is it so important? The RCN urged members working in the English NHS to vote for a proposed pay deal, and advised that all those on Agenda for Change contracts would receive a 3% pay increase in July 2018, backdated to April. However, it transpired that this was not the case for everyone. The then RCN general secretary Janet Davies issued an apology at the end of July in which she admitted she was unaware that some members would not receive the 3% uplift straightaway. A group of members then launched a petition calling for a vote of no confidence in the RCN leadership. This garnered more than the 1,000 member signatures, the number required to prompt an EGM. Ms Davies subsequently left the organisation by mutual consent. The RCN instigated an independent investigation into its processes and communication over the pay deal. Interim findings were published earlier this month, and the final report of the review will make recommendations aiming to ensure this does not happen again. The outcome is important because it strikes at the heart of how the RCN is governed. It has long claimed to be a member-led organisation, but how should this be achieved in practice? What happens if the motion passes? The RCN said it is committed to implementing the outcome of the vote on the motion. What happens if the motion falls? Council members will retain their positions, but there is no guarantee that the issue will go away. RCN council has already called for patience from aggrieved members and asked for time to rectify issues – most pressingly with communication between the college and members. How much will the EGM cost? The meeting is expected to cost between £50,000 and £60,000, including venue hire, catering, IT, production and staffing costs. How should I prepare for the EGM? Read the statements by the proposer and RCN council. Read the initial findings of independent report by the Electoral Reform Services into the college's handling of the pay deal. Check train times, bus routes and use the postcode B1 2EP to plan your journey. * This article was updated at 5.24pm on Monday 17 September to reflect updated information received from the RCN.